Published: Dec. 16, 2014 at 01:08 p.m. Updated: Dec. 16, 2014 at 06:56 p.m. The Jacksonville Jaguars hope to have Blake Bortles under center for Thursday night's heat-seeking encounter with the Tennessee Titans. "As far as I know, it's going to be Blake," Jaguars play-caller Jedd Fisch said Tuesday of his rookie quarterback, per the team's official website. Out of his walking boot, Bortles is listed as questionable with the mid-foot sprain he suffered in Sunday's loss to the Ravens. The first-round passer hasn't missed a start since taking over for veteran Chad Henne in Week 4. "We're going to obviously see how he practices," Fisch said. "He did not participate (on Monday), so we'll have to see how he does today, then see how it looks today and tomorrow." 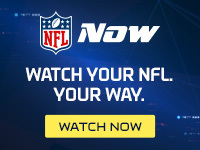 The season is a lost cause for both 2-12 teams, but Thursday Night Football -- shown exclusively on NFL Network -- has meaning: The loser is very much alive for the top overall pick in April's draft. 1. Redskins quarterback Colt McCoy was placed on injured reserve. Coach Jay Gruden said the injury isn't considered long-term and they will turn to Robert Griffin III and Kirk Cousins at the position for the final two games. 2. Steelers coach Mike Tomlin told reporters that "we feel positive" about pass rusher James Harrison (knee), offensive lineman Marcus Gilbert (ankle) and cornerback Ike Taylor (forearm, shoulder) playing Sunday against the Chiefs, per NFL Media's Aditi Kinkhabwala. 3. Cardinals defensive back Tyrann Mathieu (thumb) plans to play in Sunday night's NFC West showdown with the Seattle Seahawks. 4. Standout 49ers rookie linebacker Chris Borland is likely done for the year, defensive coordinator Vic Fangio said Tuesday. CSN Bay Area reports that the Niners will sign LB Desmond Bishop. San Francisco also placed special-teams player Kassim Osgood on injured reserve after he suffered a broken hand in Sunday's 17-7 loss to the Seahawks. In addition, safety Jimmie Ward, who was placed on IR in November, tells the San Francisco Chronicle's Eric Branch, that he suffered a Jones fracture in his foot, the same injury he had in college. 5. The Chargers announced Tuesday that wide receiver Keenan Allen broke his collarbone. Running back Ryan Mathews (ankle) also isn't practicing and wasn't close to playing against the Broncos this past Sunday, according to U-T San Diego. 6. The Ravens announced that running back Lorenzo Taliaferro, cornerback Asa Jackson and safety Terrence Brooks have been placed on IR. 7. Add more names to the Giants' IR: linebacker Jacquian Williams and offensive lineman James Brewer each go with a concussion. 8. The Raiders placed linebacker Sio Moore (hip) on IR, too. 9. As expected, the Broncos officially placed linebacker Danny Trevathan on IR with his dislocated patellar tendon.